technotite had the most liked content! Obscure and oddly specific old technology. Screwing around with anything that electrons pass through. We know that in Russia and the former soviet states -- there's much more to be had than CCITT5 still. Me and one or two of the other BinRev people have located about a dozen or so (still finding new ones) switches in that area that still use in-band 2600 signaling -- even more surprisingly, these switches use 2600 SF/Dial Pulse signaling rather than MF! 2 of said switches we've managed to find out a way to reliably bluebox/SF-box -- and there's one that is still a work in progress, and it is yet to be determined whether it's SFable or not. With regards to the test number -- if it goes to that solid tone regardless of routing -- every time -- it might be certainly something to look in to. The 'charge tones' are fax machine answer tones. It does have to do with supervision, in that -- if those two beeps are heard, the fax machine has gone off hook and the call is now supervised. If the receiving fax machine doesn't hear a 1100 hz CNG tone, it will treat the call as non-fax, and the phone will start ringing. With the metallic clanks, they sound potentially like they might be coming from the subscriber-end when they picked up the fax machine handset. On the AIS recording -- it may very well be routing, as VOIP is all over the map on that front. Also, it did sound potentially like you may have been recording with a microphone. While not awful, i'd definitely recommend using some software. Audacity is great, it's free, and it supports recording your audio output natively (might be driver based? -- don't think so, though). Here's the complete collection of recordings I grabbed of the Odessa 1AESS switch before the cutover. The recordings were made during late may, with the last batch (A-D recordings) made on June 2, 2017 -- days before the cutover. The most interesting recordings I found during the calls to the switch: 1AESS-A.wav - Highest quality recording/best example I have of what a normal call to the 1AESS intercept sounded like. Allows you to hear the background SIT-tone noise before recordings. 1AESS-D.wav - Highest quality recording/best example I have of what a normal call to the 1AESS supervision test sounded like. 1AESS-3.wav - Bizarre because the switch cut to busy after intercept, instead of cutting over to reorder like normal. 1AESS-11.wav - Bizarre because the call, without ring, goes to the 1AESS intercept recording for one cycle, then stops for 20 seconds, and returns the Hillsboro 4ESS '121-T!' recording. 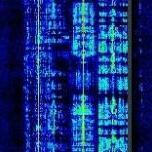 1AESS-14.wav - Bizarre because the call, rings once, goes silent for 30 seconds, then returns the Hillsboro 4ESS '121-T!' recording. 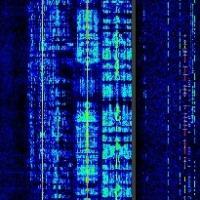 1AESS-15.wav - Bizarre because the call, rings once, goes silent for 40 seconds, then returns a reorder. More descriptions on the other calls are available on the 1A_desc.txt file on the dropbox drive. https://www.dropbox.com/sh/xca3wwskn1mzwzt/AABJMpTS0XDL9NQQgiz4LVI4a?dl=0 Enjoy. Odessa has been converted over. I grabbed about 5 recordings from a faxmodem on the 1st before it was switched. I'll try to post them whenever I have the time.